Whatever you’re working on right now, wouldn’t you rather be working on a case where the only material issue was who owned the big stuffed bear? Me too. See Pardue v. Turnage, 383 So. 2d 804 (La. App. 1980). The dispute arose in Tangipahoa Parish, in eastern Louisiana. Mr. Turnage owed Mr. Pardue $3,000, and when Turnage could not pay the judgment Pardue had some of his property seized. Said property included one "large stuffed bear." Before the bear could be sold, however, Ronald and Celestine Lessard intervened, claiming the bear was theirs. After a trial on the issue of bear ownership, the trial court found against them. Apparently heartbroken, the Lessards appealed. The appellate court reversed, citing evidence supporting the Lessards’ claim. At trial, apparently, "no less than six witnesses testified that Kenneth Turnage had, or they heard he had, given the bear to the Lessards." Id. at 805 (emphasis added). Setting aside the hearsay problems with that testimony, it seems that the bear’s whereabouts were a topic of great interest in Tangipahoa. Also, the Lessards had "dominion over the bear," as "evidenced by its display at the Sportsman, a sporting goods store in Ponchatoula." Dominion is nine-tenths of the law of bear possession, as you know. For those and other reasons, the court held, it was their bear. "An exhaustive reading of the entire record convinces this court that Kenneth Turnage did give his stuffed bear to the Lessards. For the trial court to find otherwise was manifest error." Id. at 806. 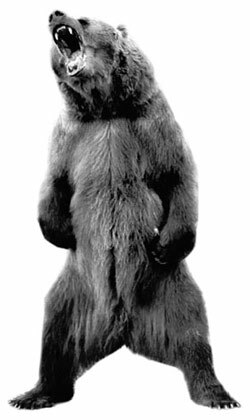 The only remaining issue was whether the donation of the bear was fraudulent (to escape a creditor) or "omnium bonorum" (meaning "of all the goods"). The latter is a Louisiana provision intended to prevent someone from giving away all his or her belongings, something that I guess is or was not uncommon down there. Personally, I think a man should be able to do with his bear what he will, even if it be his only remaining possession. But In any event, the court found the transfer was neither fraudulent nor omnium bonorum, because there was evidence Turnage did have other assets besides the bear, namely a home up north (where he seems to have fled). "While it is true," the court noted, "that he gave his household effects and the bear to the Lessards, these were simply things he could not conveniently take with him to Alaska." That settled, the case was remanded. The bear’s current whereabouts are unknown. Link: Pardue v. Turnage, 383 So. 2d 804 (La. App. 1980).